Related Resources External Resources Electronic PLEASE NOTE: The Library of Congress does not maintain these Internet sites. Users should direct concerns about these links to their respective site administrators or Web masters. Artist, Politician, Photographer Long before his interest turned to telegraphy, Samuel Finley Breese Morse intended to be an artist but an idea and opportunity forever changed the course of his journey. Collection Highlights The Library of Congress highlights select items that both influenced and directed Samuel F. B. Morse's growth and eventual invention of the telegraph. Art and Travel These items highlight Morse's love of art, which motivated him to travel to Europe, where he became inspired to invent the electromagnetic telegraph. Childhood and Family Life Journal entries and letters from Morse reveals a childhood full of curiousty for academia, as well as an era in early America plagued by high mortality rates. 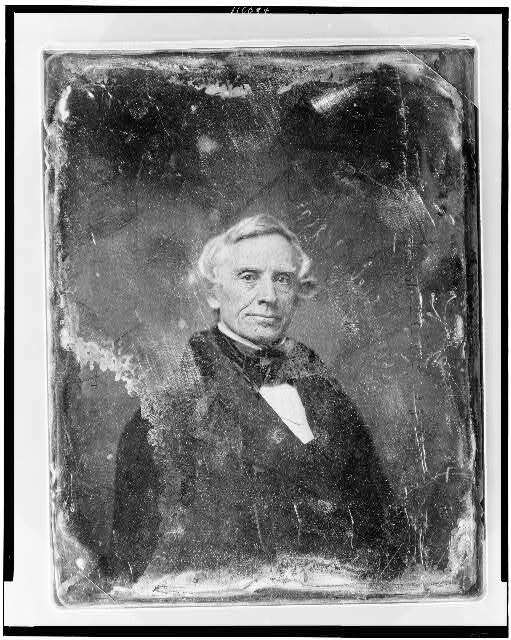 Daguerreotype Morse was an early adopter of Louis Daguerre's photographic method and went on to teach this technique to the famous portrait photographer Mathew Brady. Impact of the Telegraph The significance of the telegraph was something Morse foresaw, and he knew how the technology would have to be handled to prevent misuse. He also earned great accolades from around the world for his invention. Invention of the Telegraph Morse needed technical and financial assistance in the beginning, and was also able to get funding from the U.S. government. These items also detail how he came up with the Morse Code and the simplification of the telegraph to use acoustic signals instead of paper printed codes. Invention of the Telegraph Long before Samuel F. B. Morse electrically transmitted his famous message 'What hath God wrought?' 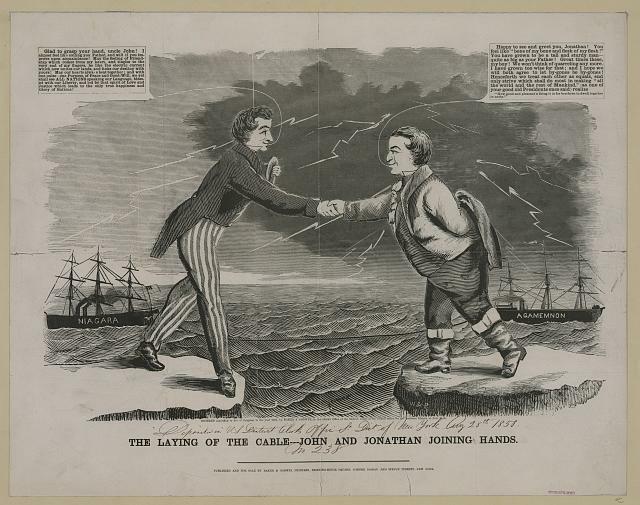 from Washington to Baltimore on May 24, 1844, there were signaling systems that enabled people to communicate over distances. Morse Family Tree A closer look is taken into Samuel F. B. Morse's family tree through this Library of Congress special presentation. 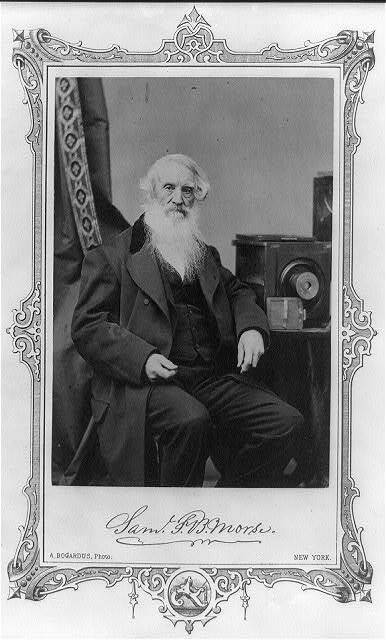 Timeline Samuel F. B. Morse's life and career are carefully showcased in this special presentation timeline. 1791-1839 From his birth in 1791 to when he meets Louis Daguerre in Paris in 1839. 1840-1872 From the grant of his patent for the telegraph in 1840 to his death in 1872.